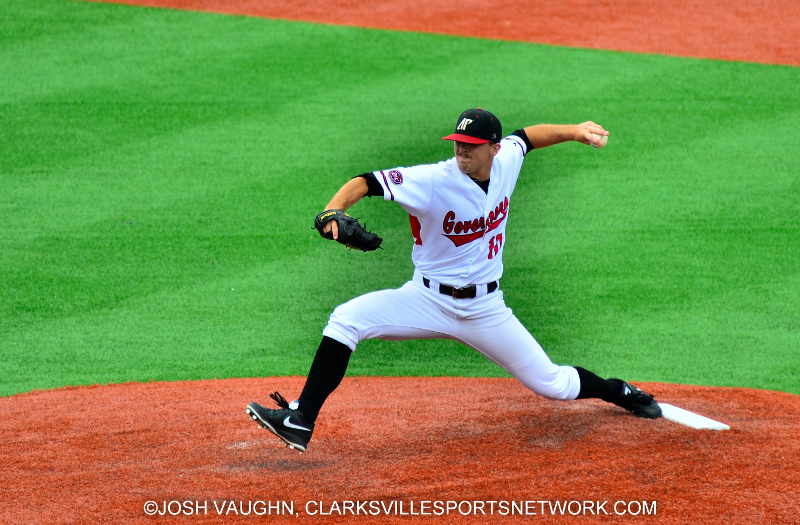 May 2013 Archives - Clarksville Sports Network - Clarksville Tennessee's most trusted source for sports, including Austin Peay State University. Nashville, TN – The Nashville Sounds overcame an early deficit Friday night at Greer Stadium to defeat the visiting Iowa Cubs, 3-1, and pick up their first winning series of the year. The victory is Nashville’s third consecutive and marks the team’s longest streak of the season. Bloomington, IN – Austin Peay State University’s baseball team earlier today defeated the Florida Gators 5-3 in the opening round of the 2013 NCAA Baseball Championship’s Bloomington Regional to advance in the winners bracket. Indiana defeated Valparaiso 15-4 to advance to the winners bracket as well. Nashville, TN – In the first game of the Nashville Regional, No. 3 seed Illinois defeated No. 2 seed Georgia Tech, 6-4, May 31st at Hawkins Field. Bloomington, IN – Austin Peay State University’s baseball team rallied from two runs down — with just five outs left — to defeat the University of Florida, May 31st at Bart Kaufman Field, in the opening round of the 2013 NCAA Division I baseball tournament. Clarksville, TN — The only coach to lead Austin Peay State University football to an Ohio Valley Conference championship has been selected to the 2013 National Football Foundation (NFF) Division College Hall of Fame. Clarksville, TN — Rising senior pole vaulter Molly Basch, of the Austin Peay State University women’s track and field team, has been named to the College Sports Information Director’s of America (CoSIDA) Academic All-District III women’s track and field/cross country team for the 2012-13 academic year. Basch carries a 4.0 grade-point average into her senior year at Austin Peay. A psychology major, Basch was the winner of the Govs Club Academic Achievement Award at the spring awards banquet, which is awarded to the rising senior female student-athlete with the highest GPA, department-wide. Clarksville, TN — In order to provide a fun experience for participants in the Tennessee Wildlife Resource Agency (TWRA) Youth Fishing Rodeo on June 8th we ask that the public refrain from using the pond at Liberty Park beginning at 6:00a.m. June 3rd through 2:00p.m. June 10. 1.) What are the Braves going to do about their bullpen, and should any young arm that gets called up just schedule a pre-emptive Tommy John surgery 18 months from now? 2.) How in God’s name can the Braves get Gattis in the lineup on a regular basis? Nashville, TN – Scooter Gennett belted his first home run of the year and Sean Halton smacked a grand slam to power the Nashville Sounds to a 6-1 win over the division-rival Iowa Cubs on Thursday evening at Greer Stadium. Woodstock, GA — Austin Peay State University’s Dustin Korte finished his final round at the 2013 NCAA Men’s Golf Championship May 30th, at the Capital City Club Crabtree facility, with back-to-back birdies to card a two-over 72 for the second straight day.